Going back to school or college for a new academic year means a full and rigorous schedule. New and old students are wondering how to cope with it. It's a good thing then that smartphones nowadays are good for more stuff than chatting and browsing the internet, with a multitude of apps for virtually anything. In this guide, we will take a look at the best apps for students of any grade, which will help you throughout the year. As students, we have a lot in our minds. Maybe we are in a new city, have several classes, and the campus has so many buildings that we can get lost easily. We face numerous challenges, but our ultimate goal is to get a degree. Or at least that's what our goal should be - let's not forget that parents read our articles too. In any case, there are various apps for students who can help us achieve our goal. Did we miss any important apps for students? Taking notes is essential for any student. 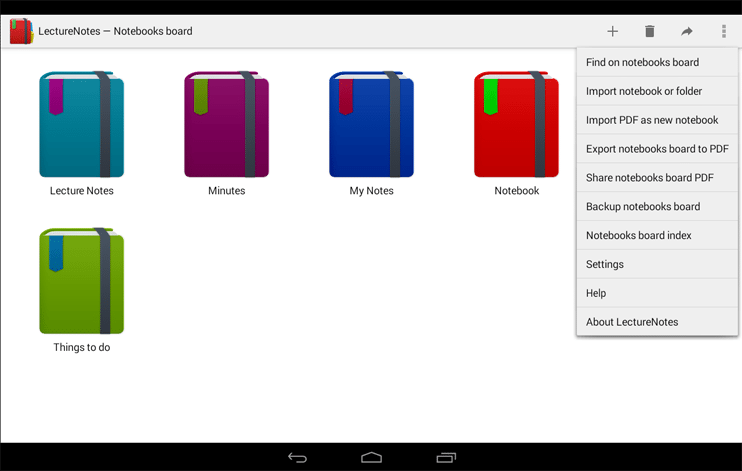 Several apps for students revolve around note-taking. With specific apps, we can also record the lectures, with our teachers' permission of course. 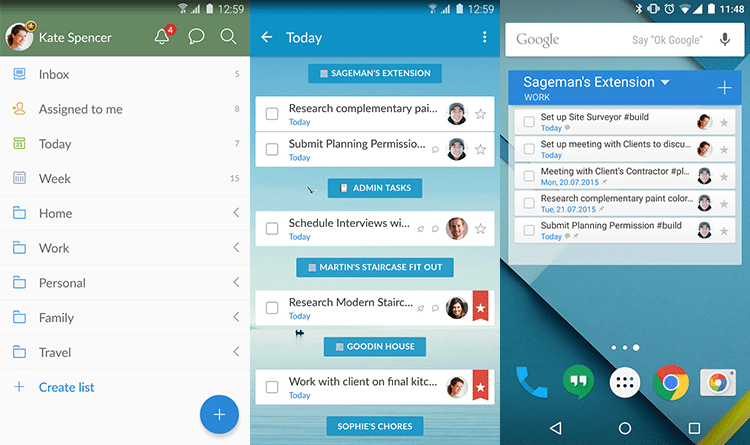 With these apps, we will always have a great organization system for our notes, without breaking a sweat. LectureNotes has been around for quite some time and is one of the most popular apps for students. The app allows us to keep hand-written notes and import photos into them. Also, using LectureRecordings and LectureVideos, we can record lectures in audio or video format. Finally, with LectureNotes we can export our notes to Evernote, OneNote, or PDF. 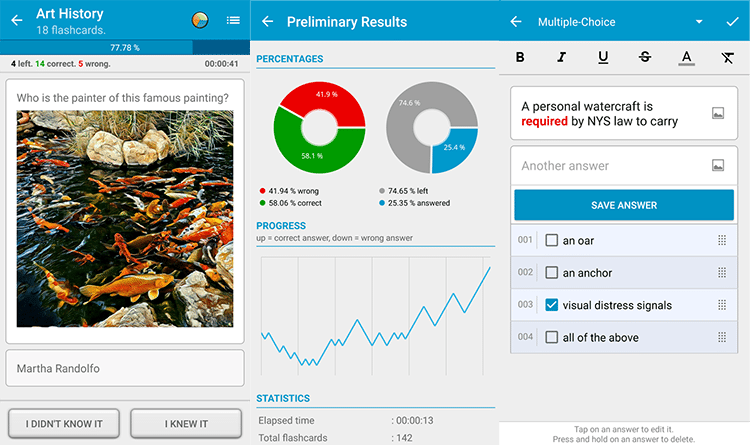 The test app is free, and we can have up to two 8-page notebooks. The full version requires a one-time payment of 5.99$. With the Hi-Q MP3 Voice Recorder, we record lectures or keep voice notes. 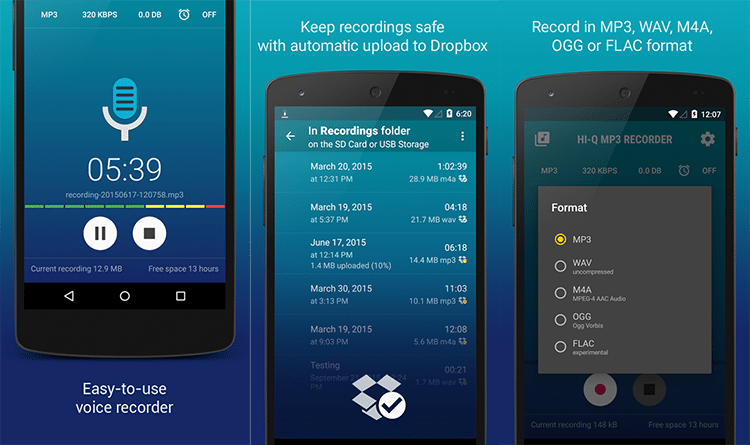 The app stores the recordings in a high-quality MP3 format and supports Dropbox. The free version has a limit of 10 minutes per audio file, while with 3.49$ we buy the premium version that has no limit. 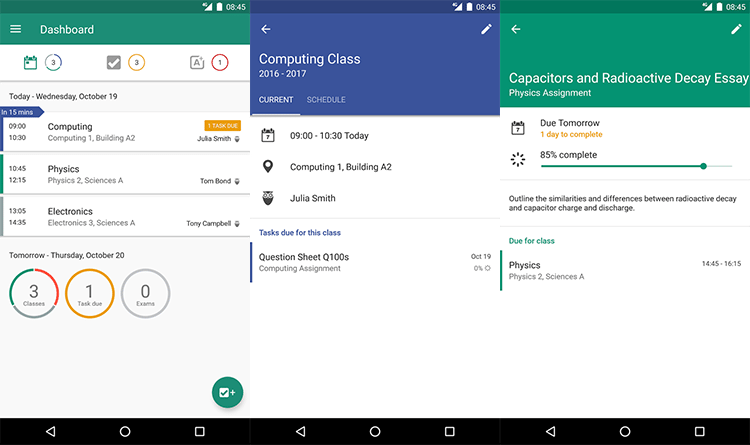 Among the apps for students, we will also find some which can help us stay organized in a different way, and that is by creating lists. 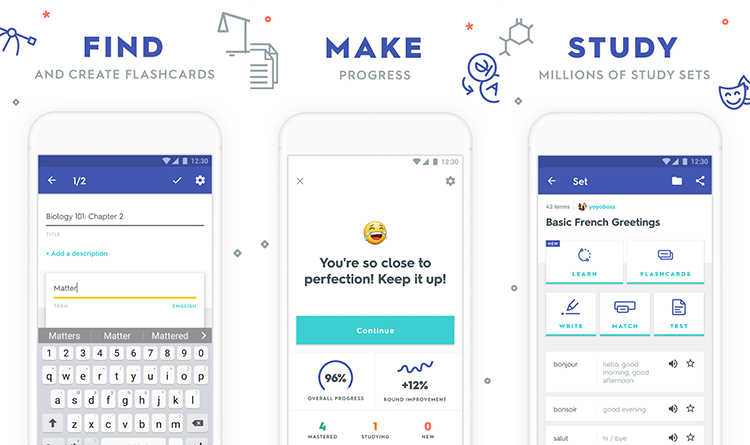 Quizlet is an app with which we use flashcards to learn new information. It contains millions of cards, for every possible subject, which we download through the app. We can also create our cards, which may contain text, images, and sound. 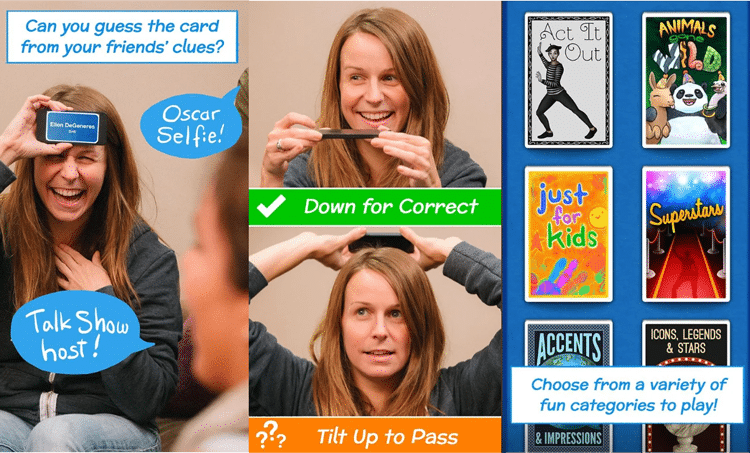 As the name suggests on the Flashcards App, we create flashcards. Flashcards are a useful tool, especially if we are learning difficult words, a new language, or need to memorize scientific equations. The free version allows us to create only fifty cards, but by paying 2.99$, we permanently unlock the full version. The best way to "force" ourselves to stay organized is HabitHub. At HabitHub we register our important regular activities. We set whether we will do them daily, on specific days or on a weekly basis. For every activity we complete, we earn one point. We can create rewards for ourselves when we reach a number of specific points, for additional motivation. With the free edition, we can only track five activities. By paying 5.99$, we remove this limit, and we get some extra features such as different themes for the app. Student life can be very complicated, and there are numerous apps for students to help out. 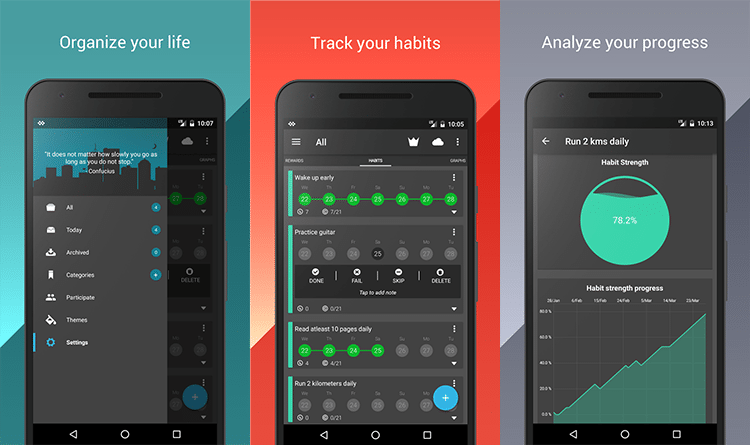 My Study Life is an application that helps organize our student lives. It's not just a calendar in which we keep track of our school work. It, also, reminds us what we have to do and we can even set a time frame for each project. 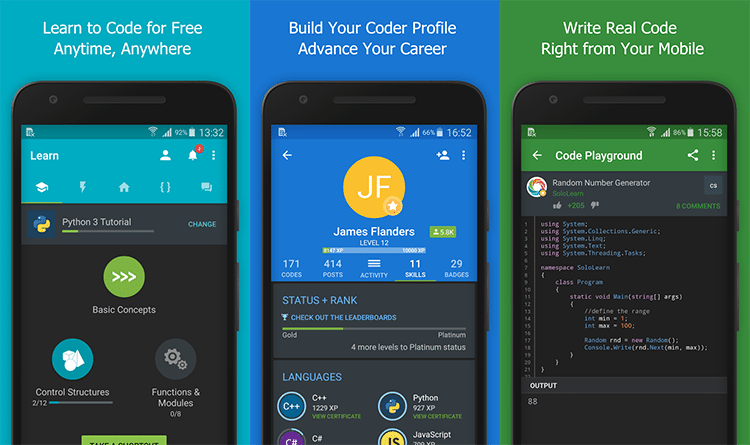 It's the best app of its kind, and it's completely free. We couldn't write a list of apps for students without including Evernote. 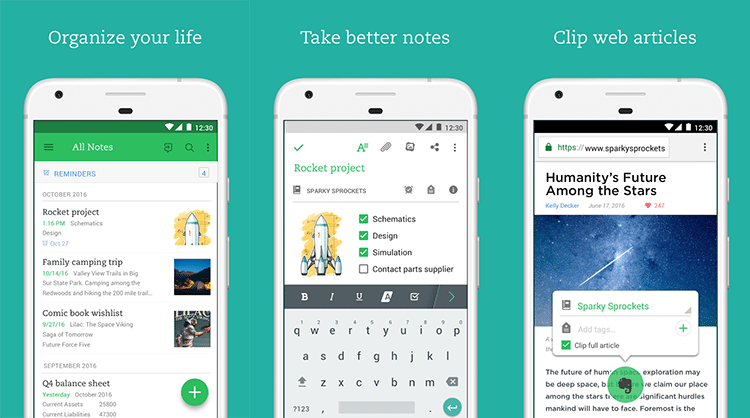 With Evernote, we keep notes, store documents, pictures, sketches, lists, even videos. Evernote stores everything we create online, and we can access it from our mobile or computer. In the recent past, the company has removed some functionality from the free version, but it is still one of the best apps for students around. 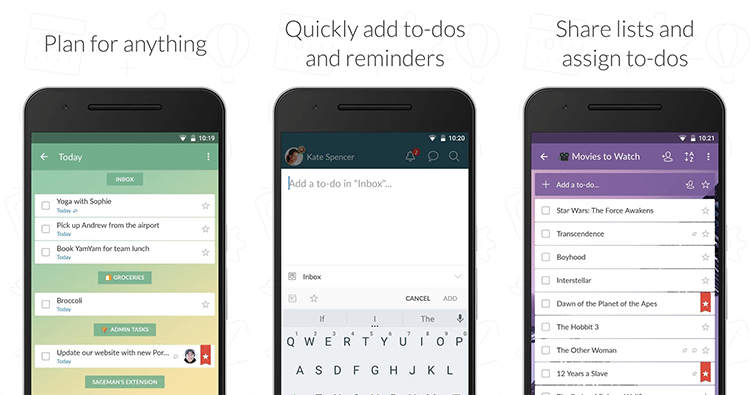 Wunderlist is another app that helps us organize our day, with the use of lists. Apart from creating a schedule and lists, Wunderlist allows us to share our lists with other people. With Wunderlist, we can create recurring activities and set deadlines through its user-friendly environment. Two interesting features are that we can print any list we want, as well as the ability to use the application on all our devices. Both Wunderlist and Evernote are free, and they offer additional features upon payment. 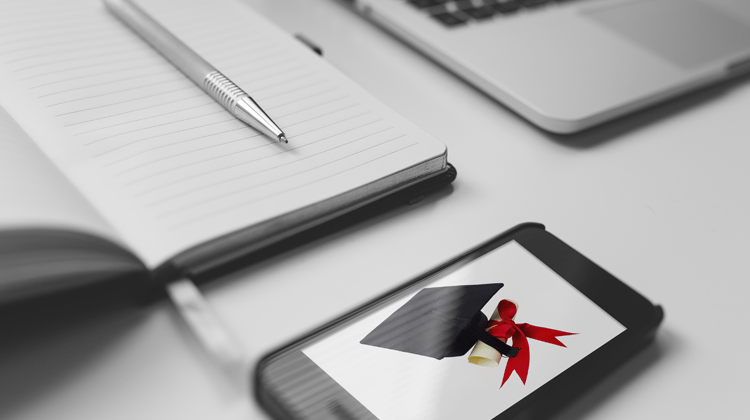 A list of apps for students couldn't be complete without choices for an office suite. Google has an extensive collection of document creation and management applications. They are all free of charge, and all we need is to have a Google Account. 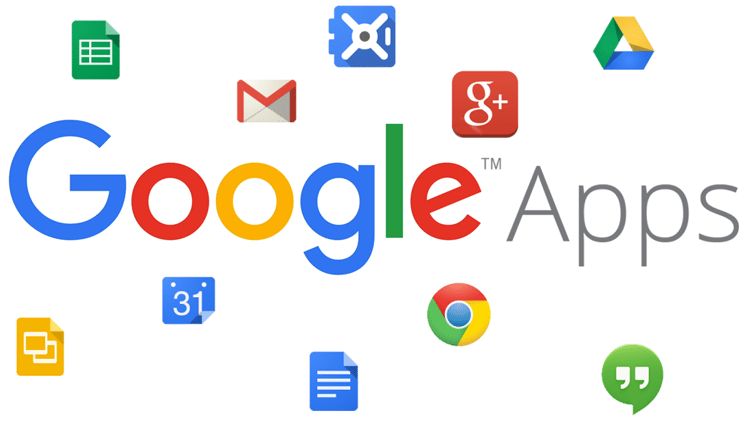 Among Google's apps, we will find applications for text documents, spreadsheets, slides, and PDFs. 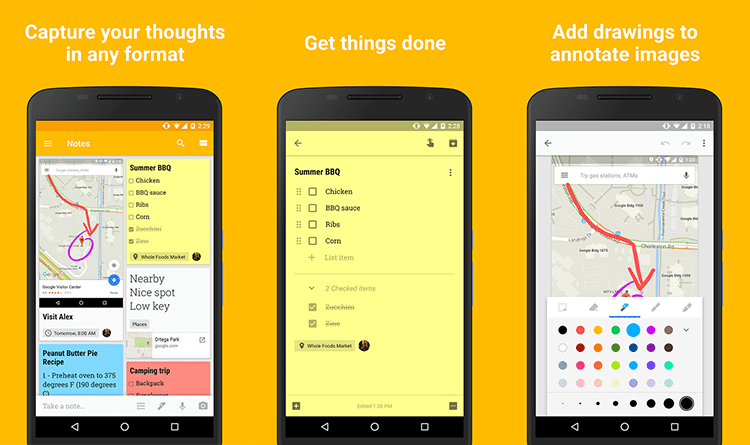 We can also keep text, image and voice notes with Google Keep. Finally, with Google Drive, we have plenty of storage space since everything is in the cloud. Microsoft charges a subscription for Office 365. As students, however, we can get the suite for free. All we need to do is go to this page and provide a valid academic email. 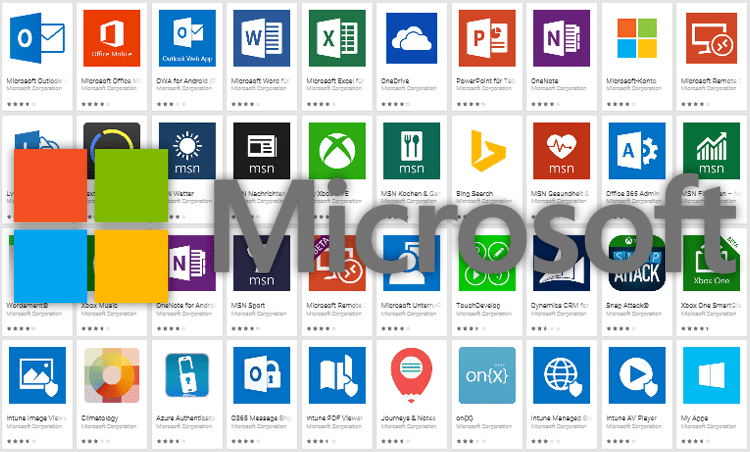 Thus, we can download several Microsoft apps without any cost. Note that this may take up to 30 days for Microsoft to crosscheck the data. As soon as they have confirmed our registration, we can enter the Microsoft Google Play page and download any app we want. Although the company's overall move is positive, we see two cons. Firstly, it is only for those who have an email from an educational provider. Secondly, Google Apps is entirely free without such limitations. Every student needs a calculator, even if they study law. That is why we will see apps for students that can solve from simple addition to complex mathematical problems. The leading calculator on Google Play for years has been RealCalc. 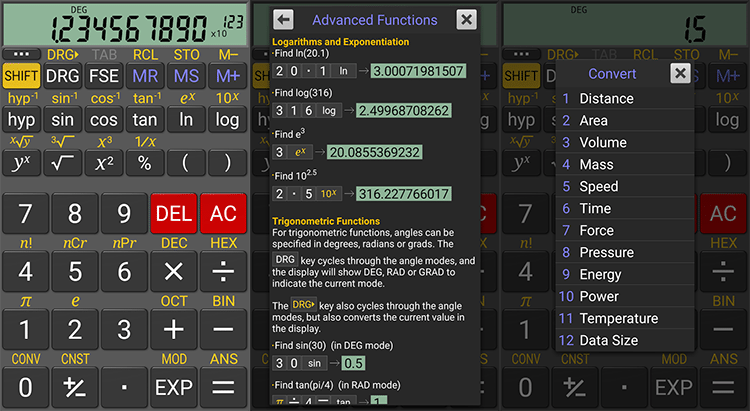 RealCalc supports DEG, RAD, and GRAD. If you do not know what these terminologies are, you are not going to need them. The app has a 12-digit screen, 32 digits accuracy, and performs various functions. The base version has several features, but we can increase them by just paying 3.49$. 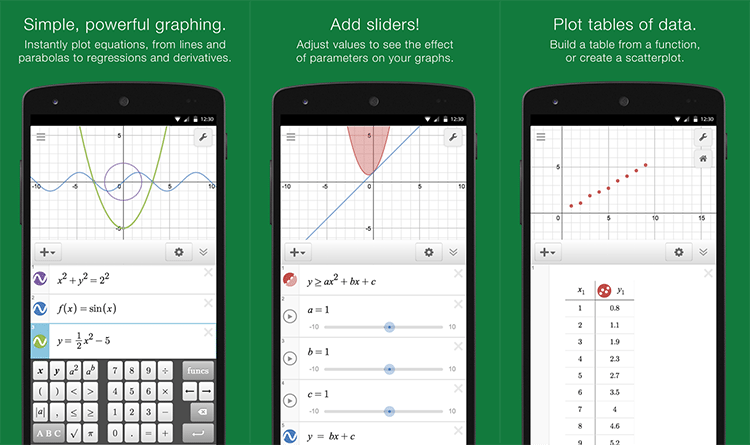 Students of STEM schools will find much use in graphing calculators. There is no reason to carry a separate device since we can get the Desmos Graphing Calculator. Desmos Graphing Calculator works just like any other calculator. We write our equation, and it creates the graph. It allows us to display as many graphs as we want; meanwhile, it stores our previous functions. Finally, it has a relatively good scientific calculator, and it will not cost us a cent. Wolfram Alpha is a search engine that differs entirely from the others. While it gives us information on any subject, like any other search engine, it can do much more. Its creators describe it as a "computational knowledge engine," and it can solve anything we imagine. From tables and astrophysics to stock data and statistics. 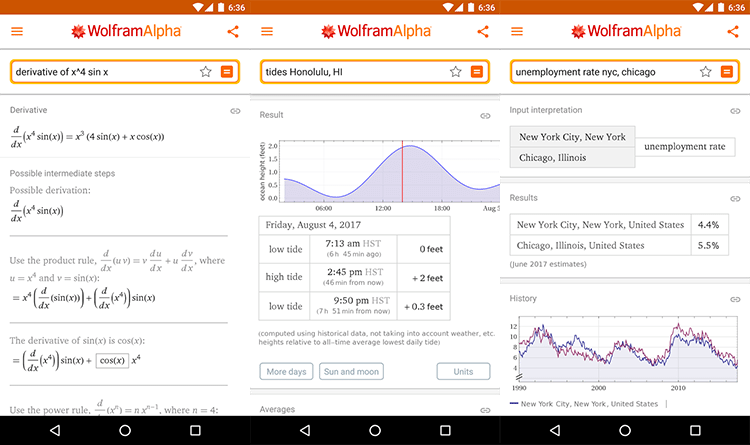 Beyond the Wolfram Alpha page, the company has also created an Android app, that will only cost us 2.99$. 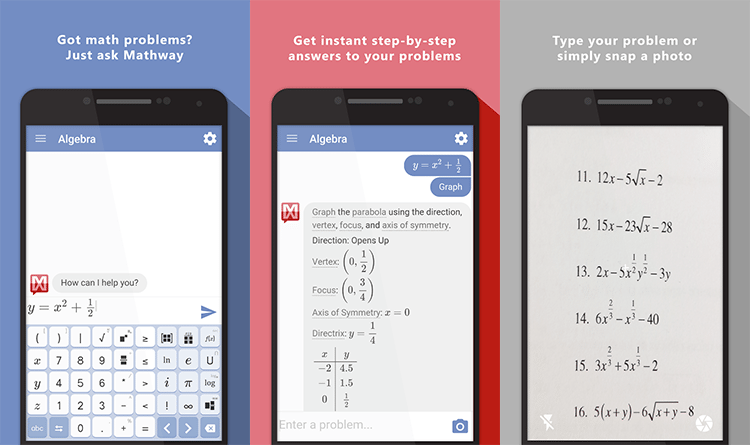 The last app in this category is Mathway, that helps us solve mathematical problems. Mathway guides us step by step, helping us solve any math problem we encounter. If we were able to solve it on our own, we can enter our math problem into the application, and check if our solution is right. For more ways to solve math problems, take a look at our guide. Apps that perform automatically scheduled tasks have been in place for a long time. Of course, everyone should include them in every list of applications for students. 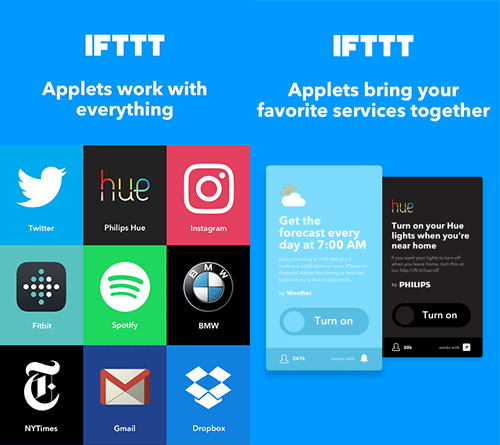 The best application for automatic tasks is IFTTT. Every user who wants to have their phone on autopilot, can think of IFTTT. IFTTT can automatically perform almost any job we want. 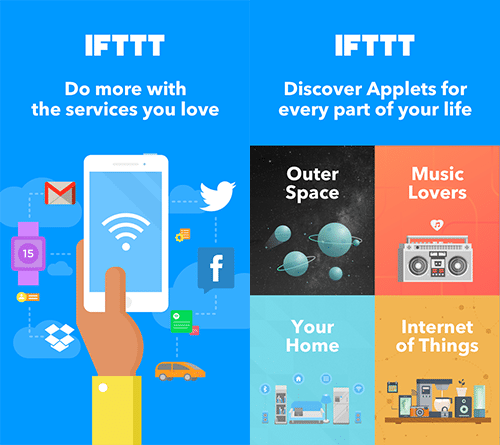 Whatever we can do with an app on our mobile, we can ask IFTTT to do it for us. It sounds compelling, and it is. Although it is not difficult to learn how to use it, it might take some time until we can use all of its features. This shouldn't discourage us, as the application comes with numerous pre-made recipes. It only takes a simple Google search to find a variety of them. 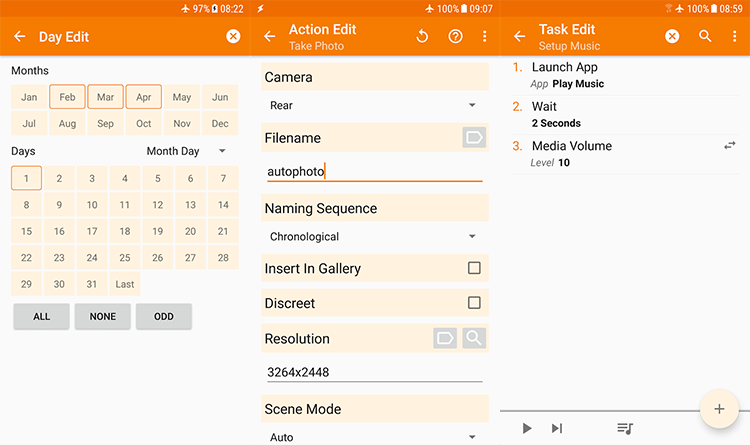 Another app that automatically runs the tasks we assign is Tasker. 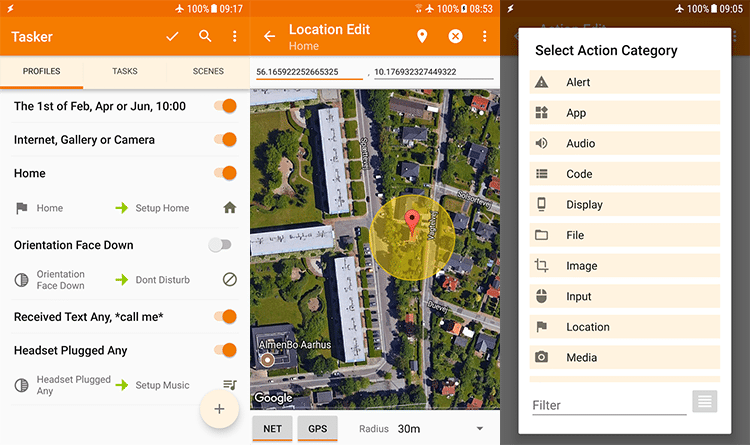 Tasker performs over two hundred tasks of every kind, based on the area we are. For example, we can set it up so once we are in the library, it will put the device in mute or turn on the flight mode. The app costs 2.99$, but we can download the trial version from the author's website. Applications like IFTTT and Tasker help to increase productivity. If you want to improve your productivity further, you should read our article. Some apps for students offer online lessons, which will be useful to us in various ways. These are the best available applications right now. 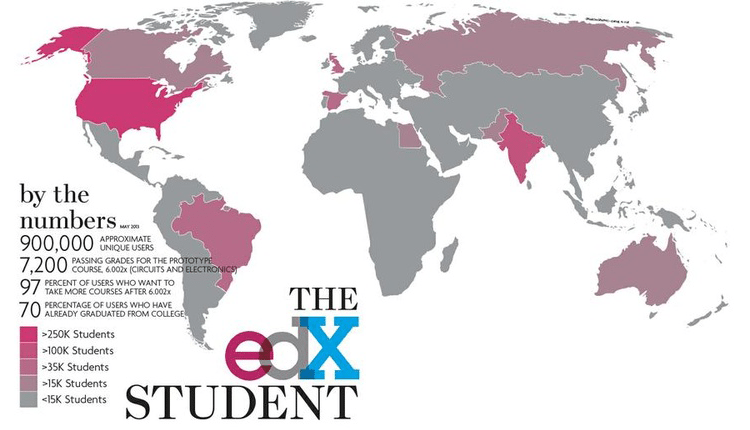 edX is an organization that aims to provide access to high-quality education to those who want it. Whether we are students or educators, edX is for us, as long as we have an appetite to learn and teach. The organization has an Android app through which we gain access to the lessons they offer. The courses are from the largest universities in the world. 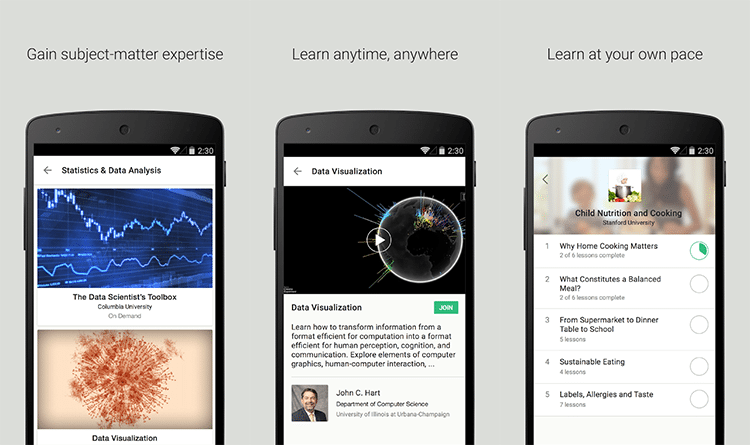 Coursera is another app with which we have access to online courses and lectures from dozens of universities. At Coursera we will find courses for every field, which can be useful whether we are a student or a teacher. The UI is simple, and the organization of the courses is quite worthwhile. SoloLearn is an online learning app for those studying programming or merely interested in learning the subject. SoloLearn offers a fantastic list of lessons for almost every programming language. 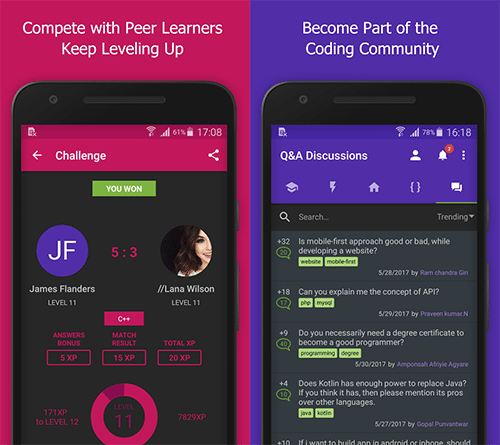 The app allows interaction between users, who can communicate with each other, as well as commenting on other users' codes. SoloLearn has a well-developed community that is continuously expanding. So, we will always find someone to answer our questions. After a busy day at the university, we want to relax. So what better way to relax than playing a few games with our friends? Heads Up! is the game that Ellen plays on her show with her guests. 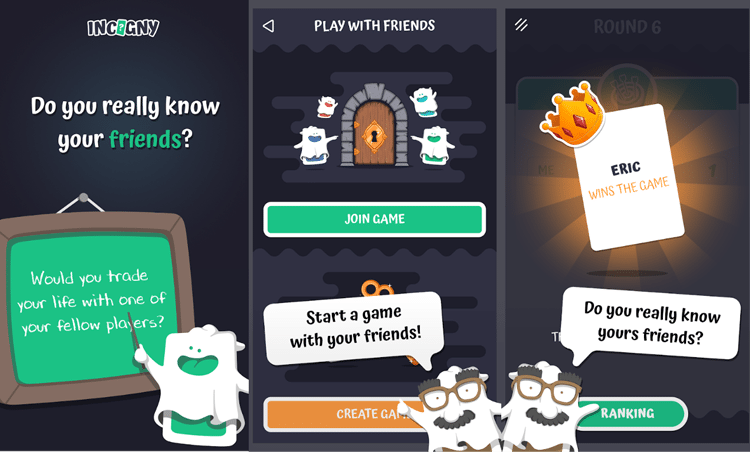 The game is similar to Charades. We select a word category, place the device in our head and a word appears on the screen. Then our friends give us some information, and we have limited time to guess the word. If we find what word is we turn the device downwards, if we want to stop guessing, then we turn it upwards. The game is free, but we have to pay for extra categories. The next game on our list will remind us of truth or dare, but it's a bit different. At Incogny, we create a "room," we give the code to our friends, and they join. Then everyone chooses various question categories, and the game starts. A question appears on our screen, and we read it out loud. Then, the rest of the players will see the question on their screen, and they can give a yes or no answer. Finally, everyone votes for how many of the players they think said "Yes" to the question and those who guessed right earn points. The winner is the one with the most points. If we like Taboo, then eTABU is the best recreation of the game for our smartphones. 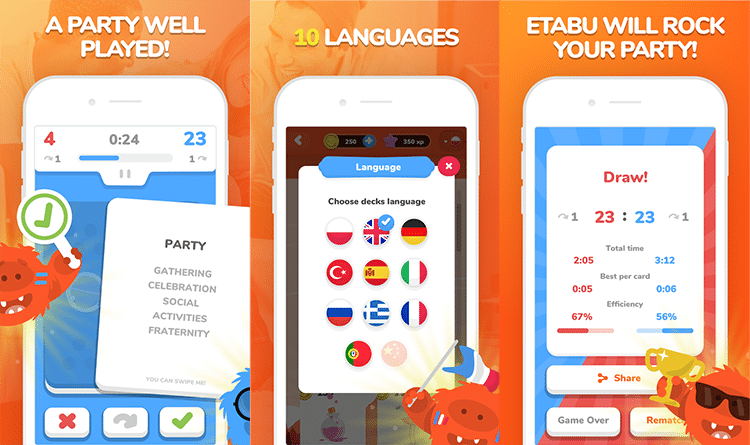 eTABU is an excellent app that we will surely enjoy. Are you a freshman or a university student for quite a while now? Do you use any of the apps we mentioned? Did we forget to mention any apps that you already use? Share your thoughts with us in the comments.